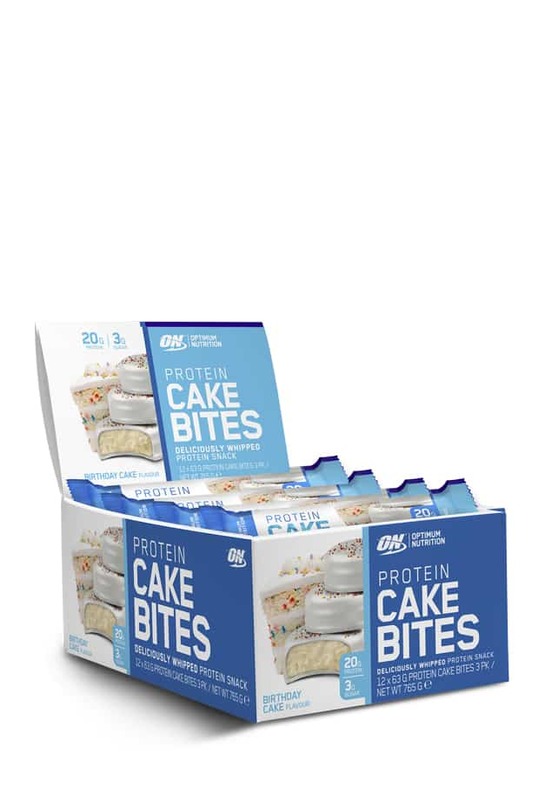 In this box of nutritious protein snacks, you will receive 12 Protein Cake Bites each at 63grams in weight. Each Protein Crunch Bar by Optimum Nutrition in this box contains a huge 20g of protein. Protein Crunch Bars are high protein, crunchy and delectably delicious protein bars that will have you thinking every day is cheat day. When they say “you can have your cake and eat it too”, what they really should be saying is “have your cake and your protein too”. Grab a box today and save yourself time at the shops. 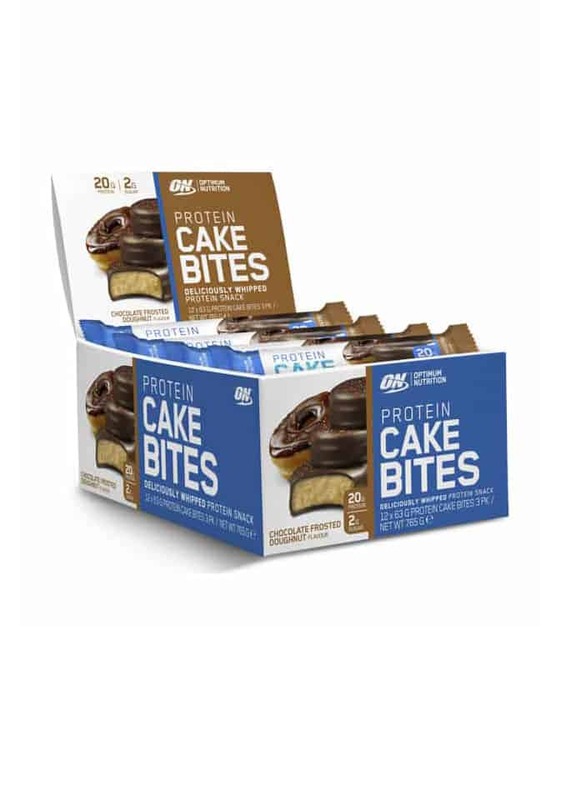 The Protein Cake Bites by Optimum Nutrition each have 20gms of protein in each 63gram bar. In this box, you will receive 12 Bars. 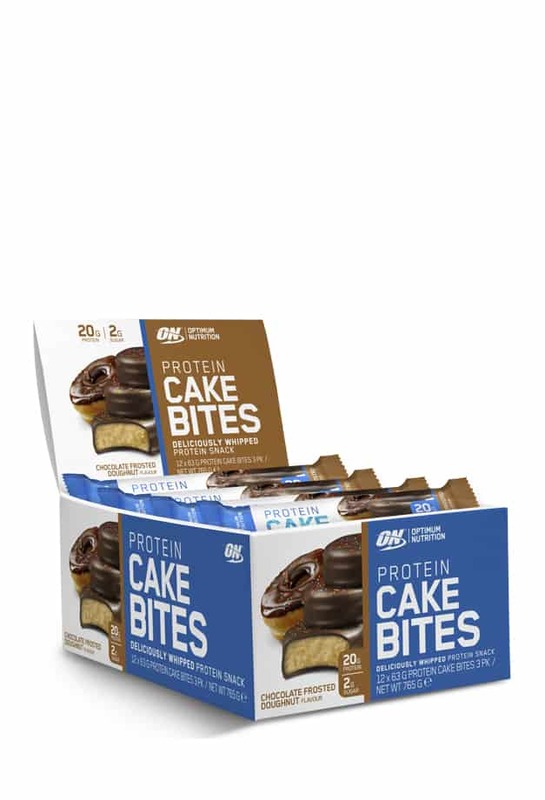 The brand new nutritious cake bites by Optimum Nutrition have been an instant success. And it is easy to see why. You get a fantastic combination of high protein, tasty treat and low in carbs. When they say ‘you can have your cake and eat it too’, what they really should be saying is ‘have your cake and your protein too’. 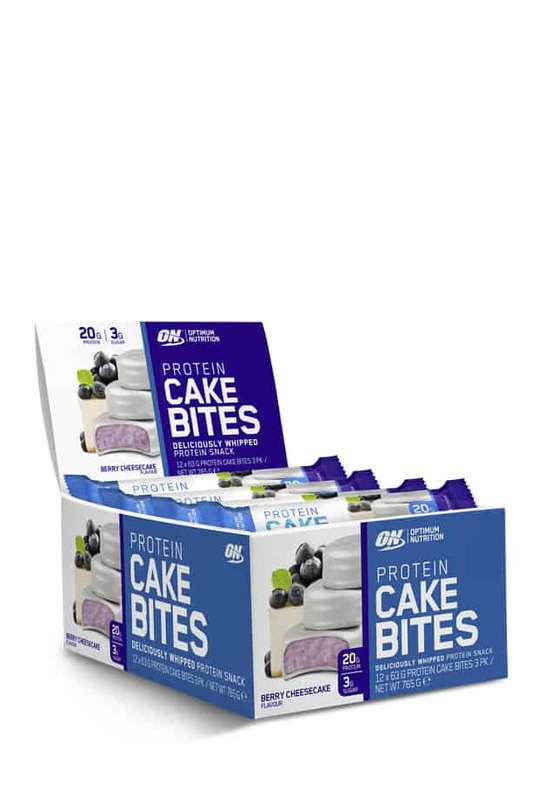 Optimum Nutrition Cake Bites are indulgent, decadent and of course, delicious whipped high protein cakes that a not only light in texture but also light on the calories as well. Don’t reach for the mud cake at night, enjoy a high protein Optimum Protein Cake and instead of cheating on your diet, have something just as delicious but completely guilt free. Click the link here to view the individually packaged protein cake bites singles.